“I hate to think of what I would do without the National Council for the Blind of Ireland”. 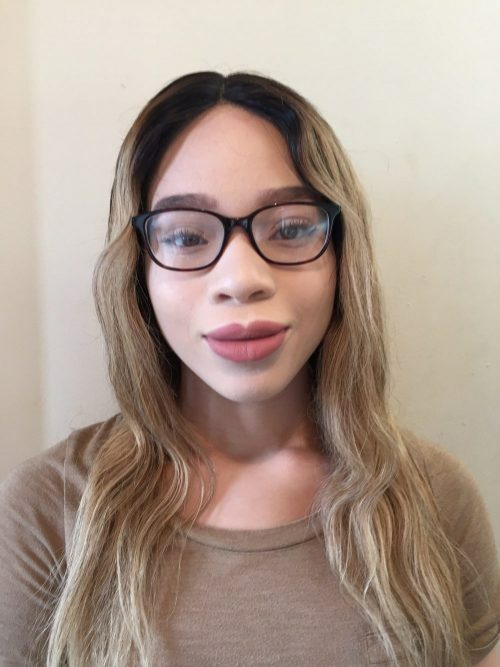 16 year old Jessica Anyanwu from Skerries, who has Oculocutaneous Albinism, a rare condition which is a reduction or complete lack of melanin pigment in the skin, hair and eyes, describes the national charity for people with sight loss as “A lifeline to me, I would be lost without them”. “My condition means that I don’t have sharp sight and this affects me every single day in lots of different ways. I can’t see buses, I can’t see the board in school but it is like everything else, you learn to find ways around it. I have little tricks and tips that I use to help make my life easier “. Making life easier too for Jessica is of course the NCBI, which provides practical and emotional supports for 8,000 people with varying levels of sight loss every year. “The NCBI has been part of my journey since I was diagnosed at the age of 7, I have been linked to the charity since then. It is a great source of contact and connection for me. It offers huge support and encouragement and this is really important to me. I have met so many people through the NCBI, people who are living with impaired vision like me, and we chat and share tips about technology and other sight loss aids. We build up friendships which are mutually supportive. I have also attended NCBI Camps which taught me loads of stuff about voice over apps which have proven to be invaluable to me. My phone is my shadow, I always have it with me and it is incredible how a simple device like a phone can assist people with sight loss. The NCBI has always helped me to get the best out of my phone”. Given her love of all things sporty, Jessica is anxious to call out to women all over Dublin asking them to take part in this year’s VHI Women’s Mini Marathon.